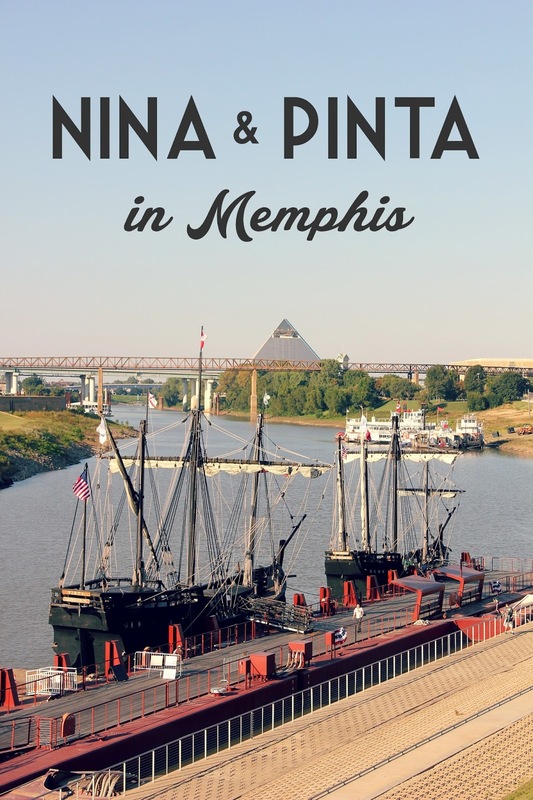 ... Columbus sailed the ocean blue and this week in Memphis you can hop on board replicas of the Nina and Pinta! A quick refresher course: Christopher Columbus sailed three ships, the Nina, Pinta, and Santa Maria, when he journeyed to the West Indies in 1492. 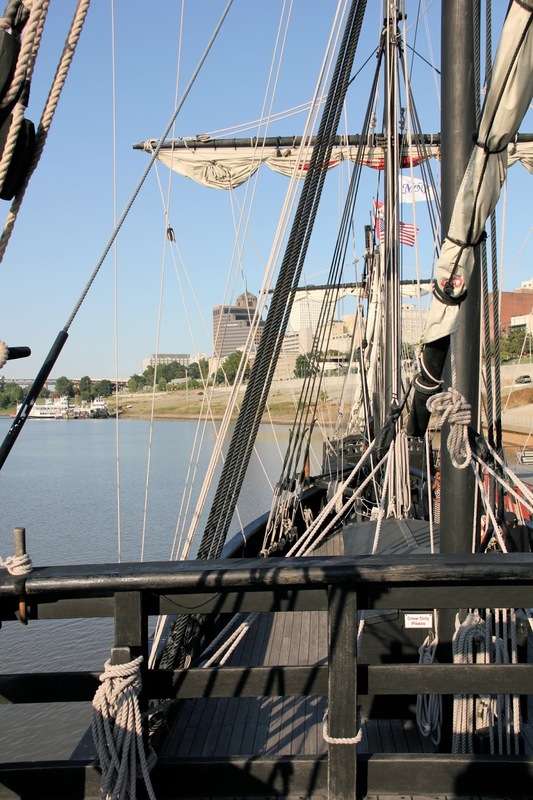 This week, Memphis has a replica of the Nina and the Pinta docked at Beale Street Landing. Jeremy and I walked down to the river to check them out. I don't know about you, but when I think of Columbus sailing through the Atlantic to the New World, I imagine rather large ships. Well, these ships are really not that big! In fact, the Nina is only about 65 feet long. 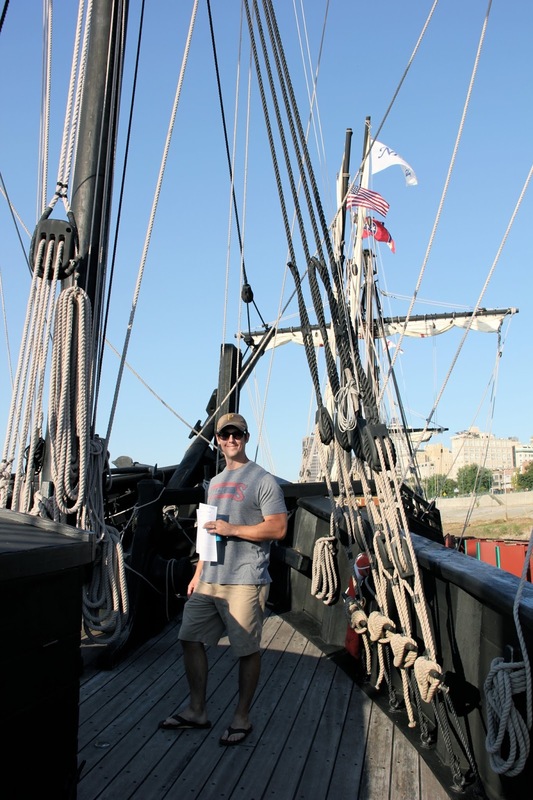 The ships only carried a little over 20 men and some animals, and I bet it was super tight quarters. These two ships were built using similar techniques that ship builders would have used in the 1490s so they really give visitors an idea of what it would have been like for early explorers like Columbus. I definitely suggest stopping by the ships before they leave! They'll be in Memphis until October 6th. The cost is $8 for adults, $7 for senior citizens, $6 for students age 5-16, and kids under 4 are free! I think that is actually a really cool idea. I love the idea of visiting those famous ships. I need to visit these! I love history and this is cool!! Very cool! I love visiting this kind of thing. We had a seaport near where I lived growing up, and it was my favorite place ever. Grrrr. I live in the midwest. And the top. :) Just a little ways from Canada. Thanks for sharing the pictures though! That looks absolutely lovely. So do you know why they don't have a replica of the Santa Maria too?